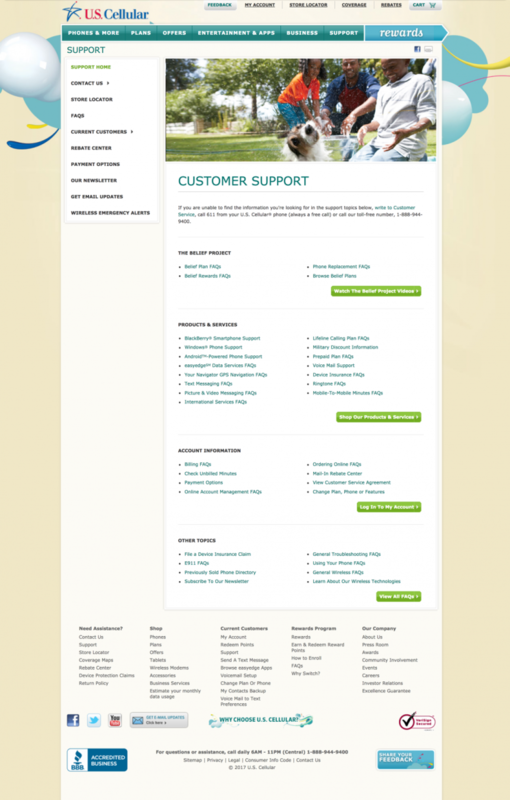 The existing site had the customer service phone number and hours above all the other content. The end result effectively encouraged customers to call for help as their first action, before attempting any kind of self-guided action. 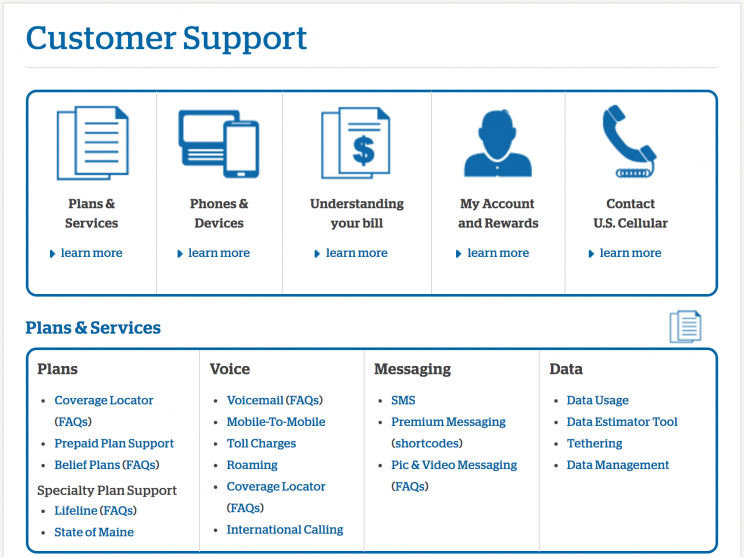 In-person support tends to be one of the greatest costs in a customer service model. At the time of the project, another challenge was that there was no in-site search to help customers- they had to rely on navigation only. I performed two main activities to inform my recommendation for a new layout. 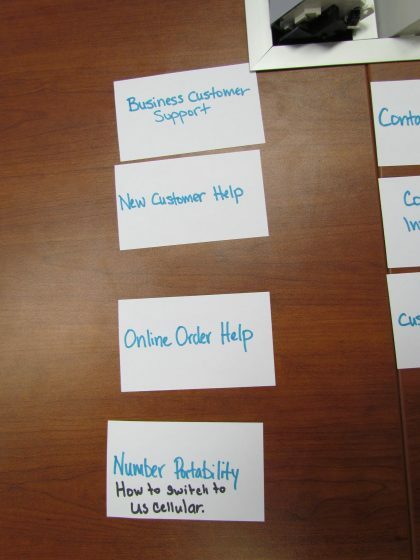 First, to get ideas about overall page structure and ordering, I did card sorts with two sets of internal associates. 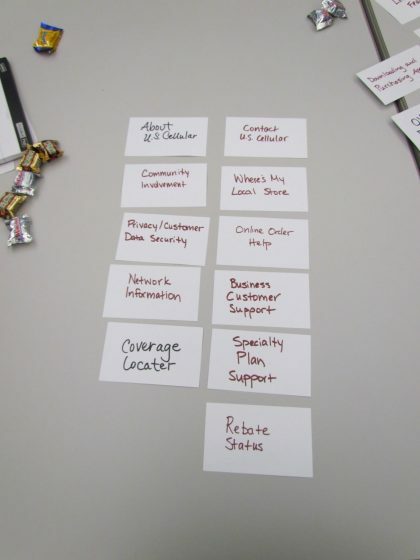 One group was responsible for communicating support policies, and the second was a group of front line call center associates, who had the best sense of anyone how often customers called in for help with simple tasks. I also produced a competitive analysis of other wireless companies in the industry, and ran step-tests on tasks such as finding the online version of a manual for a specific discontinued device. Having this analysis handy for reference helped significantly with my recommendation for a visual design with large, scannable topic text, as well as bold iconography. 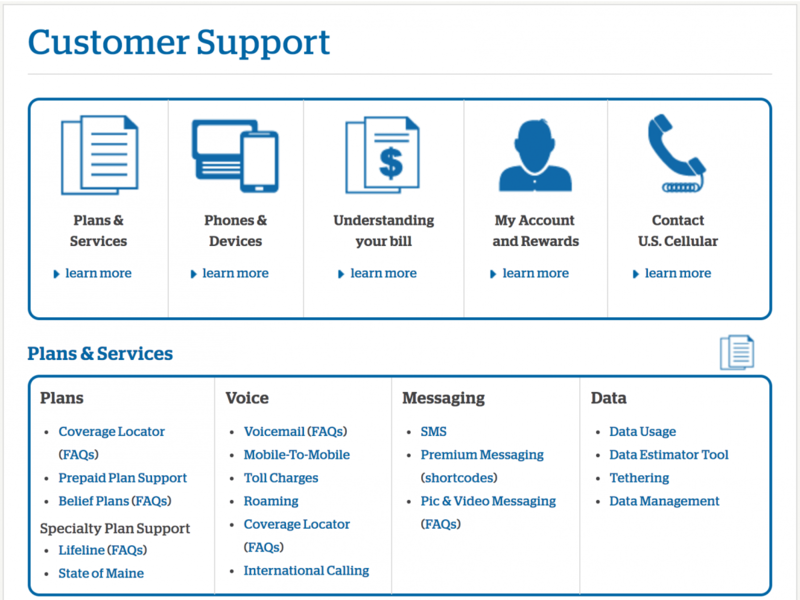 Identifying the most frequent issues customers had, and placing them front and center, helped with not only the creation of the new support page, but with prioritizing content on other pages as well. The design I created stayed around even after the site got an internal search, with small tweaks to branding along the way.